WORKSHOPS: This is a very exciting week at Anamaya. We are offering two separate Workshops for our guests to enjoy. The first is a 2 part meditation workshop, and the second is an 8 limbs of yoga and finding personal peace workshop. Please see below for more information. Rain has been practicing yoga for ten years. She became 200 hour Yoga Alliance Certified in 2011 and 500 RYT certified in August of 2013. Rain also has a Bachelor’s Degree in Business Administration, is a certified Covey Trainer and has been a Human Resource Manager for a major manufacturer for over 18 years. She is certified through Joyful Yoga and the Yoga Alliance. She studied under Jackie Chiodo learning the classical path of the 8 limbs of Patanijali’s yoga sutras. Rain teaches Hatha yoga infused with the spirit of Raja Yoga. 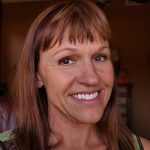 Since becoming certified as a yoga teacher Rain fell in love with Ascension-Alignment based Aerial Yoga and has become a foremost authority in the US. Rain is a devout student of BKS Iyengar and meditation. She teaches teachers and studio owners the art of Aerial Yoga at Shanti School of Yoga, across the US and Internationally. Rain is a yoga teacher that teaches with spirit. Her focus is on supporting her students to learn the 8 limbs of yoga, the chakras, Ayurveda and the study of self. One of her biggest passions is offering a $5 community yoga class every Sunday. Rain believes in giving back to the community. She also believes that everyone who has the desire to learn should be able to practice yoga. Her mission is to support her students in the pursuit of individual peace, happiness and growth. She also teaches a variety of exercises and methodologies that support a positive yoga practice designed to create peace and personal well-being. 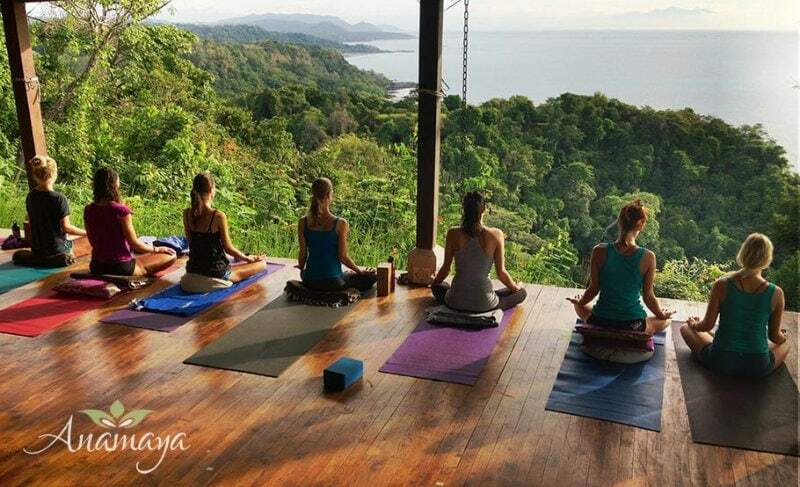 Attend her classes to experience yoga nidra, chakra meditations, relaxation techniques, and a variety of manifestation and visualization approaches. In this workshop you will learn the basics of meditation and will leave prepared to begin your own meditation practice. Learn the basics to get started in this vitally valuable practice. This is for the beginner meditator. It will provide you with a good overview and insight into meditation and will include a guided meditation session. This workshop will help you to learn how to establish and sustain a daily practice. No prior experience is required to come and benefit from this workshop. We will cover meditation and the breath, meditation and the body, meditation and emotions, techniques for calming the mind, and approaches for incorporating mindfulness in your daily life. Explore the 8 limbs of yoga and learn to apply them to your life and to your yoga practice. Understand the steps taught by the ancient sages to create peace and happiness in all areas of your life. We will explore the following and internalize ancients wisdom creating practical application for today! ***Please Note: Private Lessons taught by Rain are also available by appointment at $70/hr.